What is a bad bank, can it help create good banks? Technically, a bad bank is an Asset Reconstruction Company (ARC). Once it is formed, banks divide its assets into two categories -- one with non-performing assets and other risky liabilities and the other with healthy assets, which help banks grow financially. The Narendra Modi-led government is planning to set up a 'bad bank' to rescue the banking system from the rising non-performing assets. The concept of a bad bank has gained a momentum world over as banks reel under bad loans. In India, the 'bad bank' idea made a comeback on May 8 when Interim Finance Minister Piyush Goyal told reporters the centre has set up a committee of bankers to look into the possibility of forming a similar entity. Goyal said the panel, to be headed by the Punjab National Bank (PNB) Chief Sunil Mehta, would first find out if it's a viable option for the Indian banking system and then suggest ways to set up an Asset Reconstruction Company (ARC) or Asset Management Company (AMC). What's a bad bank, its relevance to India? Technically, a bad bank is an Asset Reconstruction Company (ARC). Once it is formed, banks divide its assets into two categories -- one with non-performing assets and other risky liabilities and the other with healthy assets, which help banks grow financially. 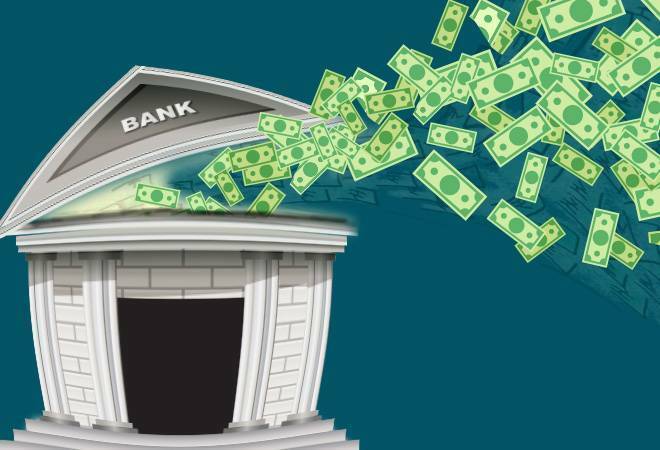 Though first pioneered in the US in 1988, the idea of forming a 'bad bank' in India was initially floated in January 2017 when the Economic Survey of India suggested setting up a Public Sector Asset Rehabilitation Agency (PARA). The central bank RBI, too, came up with a suggestion to form two entities to clean up the bad loan problems ailing PSBs -- PAMC (Private Asset Management Company) and NAMC (National Assets Management Company). It said PAMC would be formed by roping in banks and global funding companies. This would invest in areas where there's a short-term economic viability. It said the NAMC would be formed with the government support, which would invest in bad assets with short-term stress but good chances of turnaround and economic benefit. The major benefit of forming a bad bank is asset monetisation. Bad assets would stay in the 'risky' category, while the good one stays in the other category, saving them from mixing together. The real benefit for a bank comes when its investors are sure of its financial health, which helps it in the long run in raising capital, borrow, and lend money to other companies. The process to form bad bank may seem simple, but it certainly isn't. A banking institution has to keep in mind its choices of assets to be transferred into the risky category, business case, portfolio strategy, and the operating model, says a McKinsey & Company report, adding that each of these choices must be made while considering the impact on funding, capital relief, cost, feasibility, profits, and timing. Also, experts suggest the government support is necessary to help banks understand regulatory and tax-related issues. Can bad bank provide a parallel mechanism with IBC? Many lenders are concerned over huge haircuts they have to endure after a resolution through the bankruptcy code, and they think the bad bank can be a better solution. Bad loans in the power sector can't be resolved through the IBC system as factors like the lack of coal linkages and the absence of purchase power agreements make them unfit for a resolution through the IBC. In many cases, states don't sign PPAs as power can be bought for a cheaper price over exchanges. The bad bank structure could help banks park their money to separate agency to find a solution in long time. Banks feel the assets having future demand-supply issue face liquidation under the IBC, a problem that can be solved under the bad bank. The recent IBC amendments make it complex for foreign players to take part in resolution. Experts believe a vehicle like AMC or ARC that could address the stressed loan issue -- till the bankruptcy code stabilizes -- could be beneficial. Experts also believe the 'bad bank' can help address cases arising in the real-estate sector. Video: What are the major objectives of a bad bank?